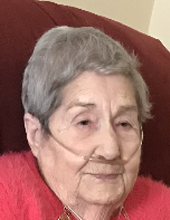 Osage City- Fay L. Noah, 90, passed away on Tuesday, January 15, 2019 at Shawnee Mission Medical Center in Shawnee, Kansas. Fay Lucile Altis was born March 13, 1928 in Cabool, Missouri, the daughter of Paul Andrew and Rachel Esther (Bray) Altis. Fay was joined in marriage to Howard Warren Welch, they later divorced. On February 27, 1982, she married James Noah. He preceded her in death on July 12, 2012. She had lived in Osage City for 23 years. She owned and operated a restaurant. Fay will be fevered remembered by two daughters, Dana Kay (Bruce) Williams of Hawaii, Debra Hedrick of Blue Spring, Missouri; two sons, Michael Joseph (Pam) Welch of Kansas City, Kansas and David (Tina) Noah of Kansas City, Kansas; a brother, Hubert (Norma) Altis of Liberty, Missouri and six grandchildren. Visitation will be held on Monday, January 21, 2019 from 6:00 to 7:00 p.m. at VanArsdale Funeral Chapel in Osage City. A graveside will be held at 2:00 p.m., Wednesday, January 23, 2019 at the Altis # 2 Cemetery in Cabool, Missouri. Condolences may be sent to Vanarsdalefs.com. To send flowers or a remembrance gift to the family of Fay Noah, please visit our Tribute Store. "Email Address" would like to share the life celebration of Fay Noah. Click on the "link" to go to share a favorite memory or leave a condolence message for the family.